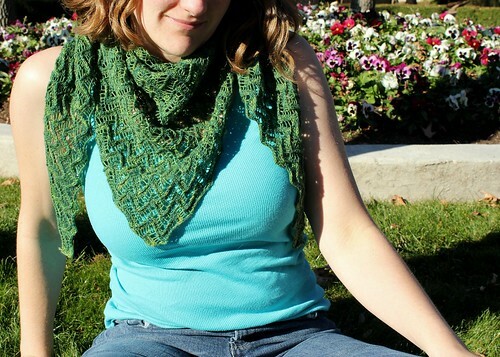 I am so very proud to present to you my second non-self-published knitting pattern - Nori! 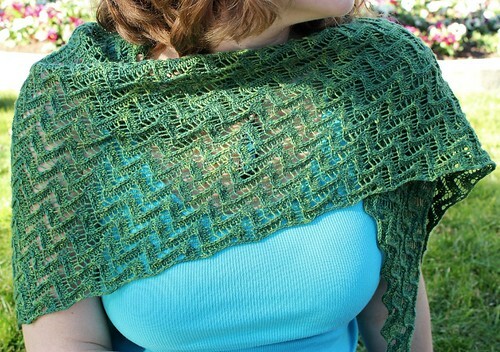 She's a lovely triangular shawl, knit from side-to-side, featuring a wavy lace pattern reminiscent of the algae paper used to wrap sushi. For the full pattern, check out the latest issue of Knitty magazine! Very pretty. I love the color and the laciness of your shawl. Well done.